Ottawa’s first baby of the year — a girl — was born at the Queensway Carleton Hospital early Friday morning, arriving two weeks early and giving her parents a holiday to remember. 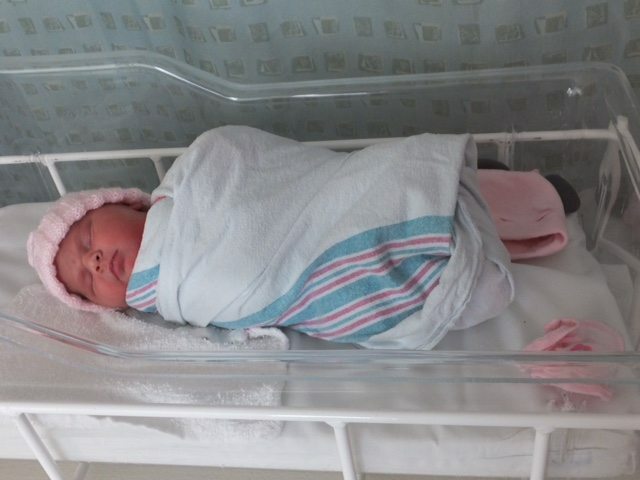 Ottawa’s first baby of 2016 doesn’t have a name yet — her parents thought they’d have at least a couple more weeks before they had to decide on a name. Photo courtesy of the Queensway Carleton Hospital. 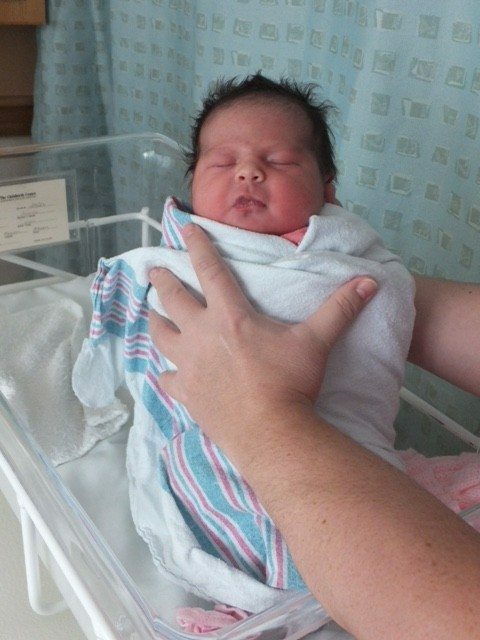 Amanda and her husband, Shawn Hebert, were not expecting the baby’s arrival until Jan. 18. The Munster Hamlet couple were enjoying a quiet New Year’s Eve when they had to drop everything and get to the hospital, arriving at about 9 p.m. The baby was born right at midnight. The parents have yet to name their daughter, who was also a special holiday gift for her big sister Kaylee, who just turned two. The family knew they were expecting a girl, but didn’t anticipate they would need to have a name ready quite this soon. “We really thought we had a couple more weeks to make a decision,” said Amanda Hebert. The family plans to take a little time to get acquainted with their new member before they choose the perfect name for her personality.